Xtreem Music and Dead Rhetoric.com are giving away a copy of Killing Addiction’s new Shores of Oblivion EP to one (1) lucky winner. 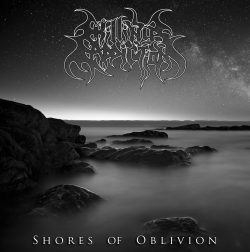 On Shores Of Oblivion, Killing Addiction exemplifies a style that spans death metal (Death, Morbid Angel), grindcore (Napalm Death, Carcass), and thrash (Slayer, Kreator). Equally heavy is a lyrical approach that deals in themes both political and philosophical. If this tickles your fancy, then enter before Friday, February 17, 2017 for your chance to win! Enter “Killing” in the answer field below.